Hey there! Hope everyone had a wonderful weekend and that Monday wasn't too hard on anyone. It's Thanksgiving week in the U.S. and we host lots of family and friends at the Casa, plus you know, I'm on deadline, so this is probably going to be the only word from me this week. BUT, there's still much going on, so let's make sure you don't miss any of it, shall we? We shall! First up, Sensational Six: Action and Adventure in Sci Fi, Fantasy, and Paranormal Romance is still burning up the charts! Many thanks to all who've grabbed it up already. But for those of you who haven't, seriously, what are you waiting for? 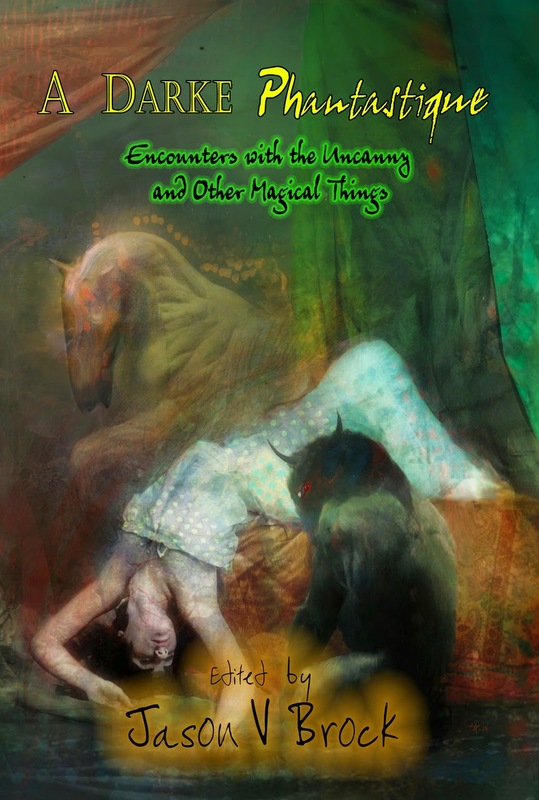 It's got 6 great stories of various lengths, from Six Gals and a Guy -- awesome authors Caris Roane, Jordan Summers, Vivi Anna, Sasha White, Marsheila Rockwell and Jeff Mariotte, and moi. And it's a great gift -- for yourself or any other readers on your list. And what a great way to say "thank you" to someone by giving them a great boxed set without breaking your wallet to do it. In fact, eReader News Today made Sensational Six its Book of the Day! My entry in the set is The Night Beat, Necropolis Enforcement Files #1, and right now this boxed set is the only place you can get it. And that's not all. Sensational Six is also the only place where you can get a long excerpt for Night Music, Necropolis Enforcement #2...until it releases in early 2015! Want to see Night Music's cool cover even larger sized? Hit my Premieres page and check it out! And how much does all this awesomeness cost you? $0.99. YES! Less than one dollar! So, really, do your Six Gals and a Guy a solid and grab this while it's at this low, low price, because it won't be this low forever, and the set won't be around forever, either. 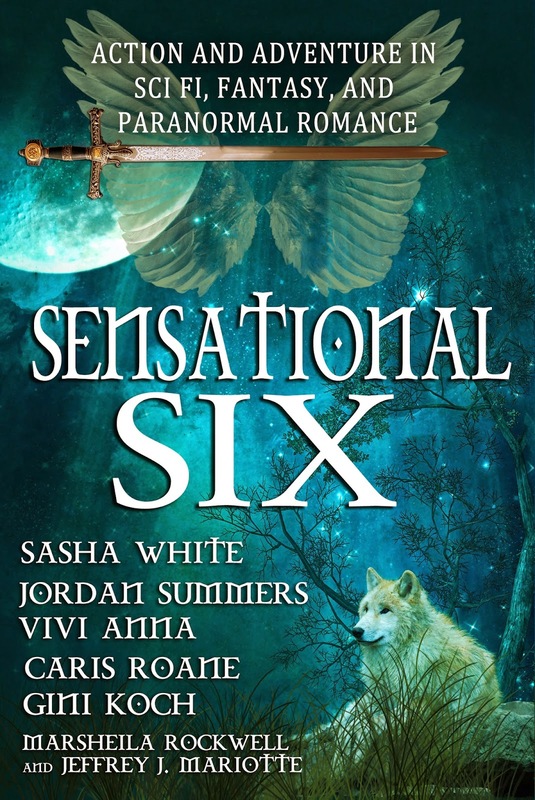 Get your copies of Sensational Six right here! Speaking of excerpts, head over to my Deathless Prose page and check out the prologue and first chapter of Universal Alien! Then see what Feeling Fictional thought of Universal Alien. And after that, check out who won the prize at Bibliognome. What prize, you ask? 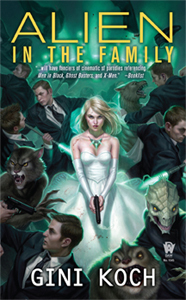 Why, that blog's stop on the Universal Alien Top 10 Blog Tour. There are more tour stops coming next week, and many of the prior stops still have their contests going. You can win your choice of one of the first 9 books in the Alien series, and you can win at multiple stops, all open internationally, so don't delay, get your entries in today! Remember that I'll be out and about starting this weekend, and then on Book Tour for Universal Alien. You can always find where I am over at the Datebook, but here's my appearance schedule through the rest of the year. Cake, readings, signings, games & prizes! Additional LiveStream Event runs concurrently, so even if you can't be here in person you can still join in the fun! NOTE: Mysterious Galaxy has moved! New location listed above. See you there! 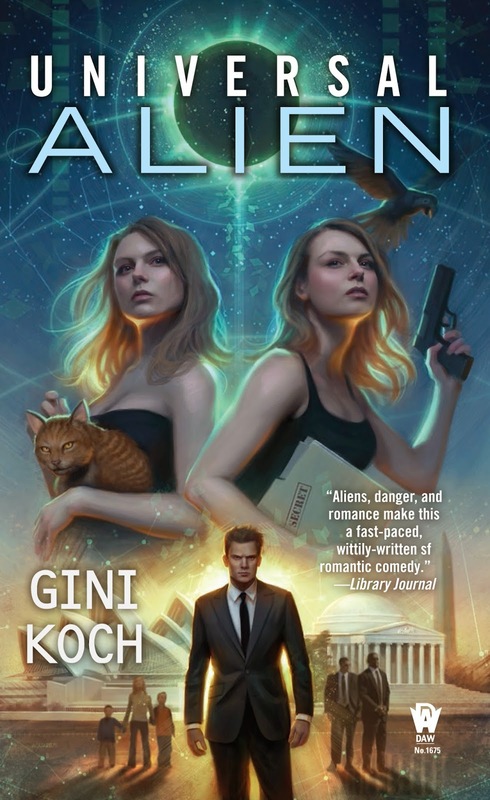 After you've marked your calendars and made your plans to see the me, check out what Lu's Buchgefluester thought of Alien Tango, Alien in the Family, and Alien Proliferation. And if you don't read German, no worries, because Google Translate has you covered! Peace out, my li'l gangstas, and I'll catch you on the flip side! Happy Friday! Well, here we are, at the end of the week already. And yet, there's still tons going on that I have to tell you all about before we all race off for the weekend. So, let's roll right to it! First off, head over to Under the Covers where they have the top 10 ways to survive in the Kittyverse. After that, hit Word of the Nerd where they have both the top 10 things you'll never hear Kitty and Company say AND an early review of Universal Alien. Both stops have yet another chance each for you to win a copy of one of the first 9 books in the series, signed and personalized, and open internationally. There are still more Tour stops to come, and you can still get entered to win at the prior stops as well. Some of the contests are over and some end SOON, so hurry up and get entered to win so you don't miss out! 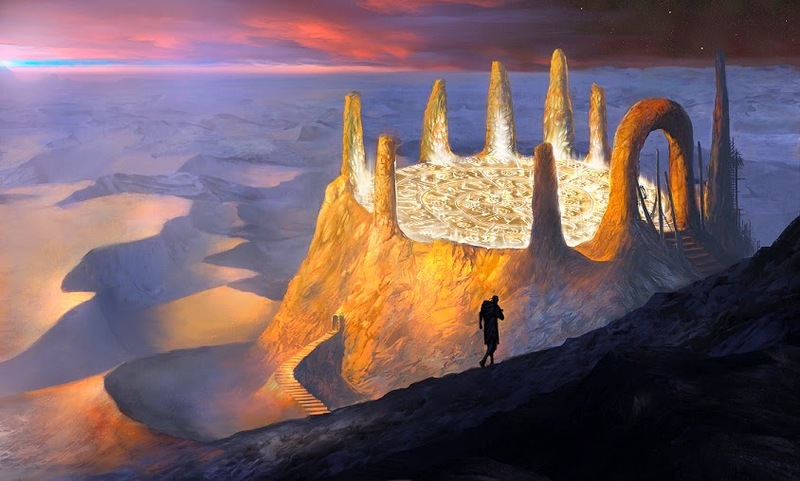 After getting entered all over to win one of the first books in the series, check out what Lu's Buchgefluster thought of the book that started it all, Touched by an Alien. The review is in German, but for those of you who can't read German, Google translate handles it really well. Sensational Six: Action and Adventure in Sci Fi, Fantasy, and Paranormal Romance is burning up the charts! Many thanks to all who've grabbed it up already. But for those of you who haven't, seriously, what are you waiting for? 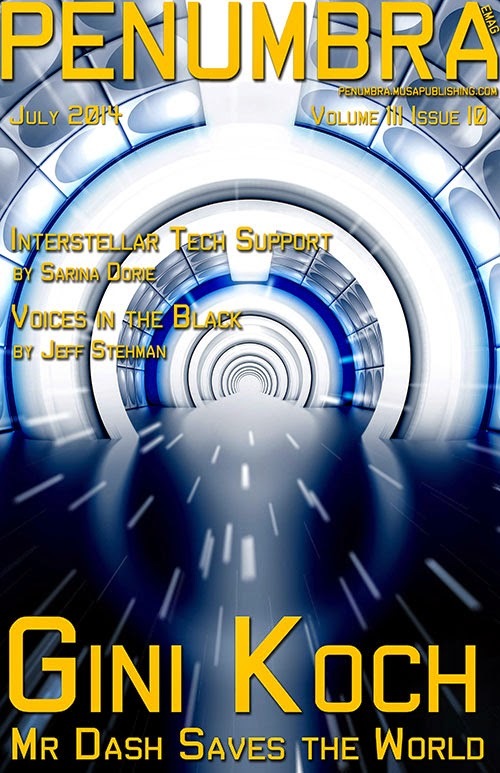 It's got 6 great stories of various lengths, from Six Gals and a Guy -- awesome authors Caris Roane, Jordan Summers, Vivi Anna, Sasha White, Marsheila Rockwell and Jeff Mariotte, and moi. My entry is The Night Beat, Necropolis Enforcement Files #1, and right now this boxed set is the only place you can get it. And that's not all. Sensational Six is also the only place where you can get a long excerpt for Night Music, Necropolis Enforcement #2...until it releases in early 2015! Want to see Night Music's cool cover? Hit my Premieres page and check it out! And how much does all this awesomeness cost you? $0.99. YES! Less than one dollar! So, really, do your Six Gals and a Guy a solid and grab this while it's at this low, low price. That's it for today, but as always, more's on the way. The Universal Alien Top 10 Blog Tour is taking next week off because it's Thanksgiving in the U.S. next week and the Casa will be filled with people and I'm still on deadline for Alien Separation and all that jazzy stuff. But I promise some fun stuff early next week before we go to radio silence. So, everyone have wonderful weekends and let's be Universally Sensational readers out there. Peace out, my li'l gangstas, and I'll catch you on the flip side! Happy Hump Day! The middle of the week is always nice -- the uphill struggle to get to mid-day on Wednesday, and then the lovely downward slide towards the weekend begins. But, as always, we have a lot going on, so let's hump on over to it. 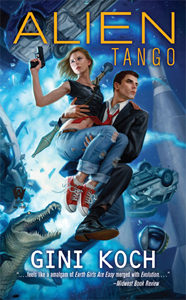 For today's stop on the Universal Alien Top 10 Blog Tour, we have something a little different. Head over to Lu's Buchgefluester where there's a new interview with yours truly. She asks some new questions, too, so don't miss it even if you've read the yap before. As with all the other stops, you can win a copy of any one of the first 9 books in the Alien series, signed and personalized, and open internationally. This is a German blog, but the interview and giveaway portions are in English, so don't give up when you hit the first paragraphs (unless you also read and speak German, which many of the Alien Collective do, in which case, enjoy it all) and keep on down to the interview and contest entry information. There are still more Tour stops to come, and you can still get entered to win at the prior stops as well. Some of the contests end SOON, so hurry up and get entered to win so you don't miss out! Speaking of contest ending soon, today is the last day to get entered for the fantastic prizes that awesome author Caris Roane (http://www.carisroane.com/celebrate/) is giving away for her big Celebration Event. Prizes are from a host of cool authors, including moi, Erin Quinn, Erin Kellison, and Jennifer Ashley, to name only about a 1/3 of the authors who have bookie wookies up for grabs. So don't miss out, get entered to win right now! Sensational Six is available now, for the amazingly low price of $0.99, for a limited time, anyway. Yes that means it won't stay this price forever. So don't delay, get your set today! And remember, at this price, it's a great way to give someone a Thanksgiving or early holiday present that they'll love without killing your own wallet. What's in the set? Six great stories from seven authors -- Six Gals and a Guy -- including The Night Beat, Necropolis Enforcement Files #1, along with an extra-long excerpt of Night Music, Necropolis Enforcement Files #2. And right now, this boxed set is the only place where you can get both The Night Beat and the Night Music excerpt, and since you can get them both AND five other awesome stories for less than a dollar, there's really no reason not to race out and grab them right now! And to make it easy for you, here are all the buy links ('cause I'm a giver, me). Speaking of Night Music, and just to prove that it's really coming to you in early 2015, head on over to my Premieres page where you can see the worldwide unveiling of the cover! Yes, once you have a cover, you know it's real, and it's really real! The Sensational Six Blog Tour is also in full swing. Details for all stops are here at the Blah, Blah, Blah, Blog (see posts below). Every stop has prizes and there's a gigantic grand prize, too, so definitely get entered to win. And if that's not enough, there's a big party on Facebook this Thursday, Nov. 20th, aka tomorrow, starting at 3pm EST. RSVP now so you don't miss out because, of course, there's going to be authors chatting and prizes being handed out the entire time! Already got Sensational Six? Already read some or all of the stories in the set? Do all Six Gals and a Guy a favor and leave a review on Amazon, Barnes and Noble.com, Smashwords, Kobo, iTunes, or Goodreads. Review (like pre-orders) help books and authors tremendously, and right now, Sensational Six needs reviews! That's it for today but, as always, more's on the way. So enjoy the beginning of the downward slide to the weekend, and let's be winning and reviewing readers out there! Hey there! Well, Monday was a big day, but this week's keeping the awesome going full steam, particularly when it comes to winning. So, let's roll into it, shall we? We shall, and we'll sound "street" while we're doing, it, too! Today's stop on the Universal Alien Top 10 Blog Tour is over at I Smell Sheep, where you'll get to find out what my top movie horror monsters are. And, of course, get entered to win a copy of one of the first 9 books in the series, signed and personalized, open internationally. Already have all the books signed and such? Try winning for a friend. After all, Christmas and Hanukkah are coming, and all that holiday jazz. There are more Tour stops to come, and you can still get entered to win at the prior stops as well. Some of the contests end TOMORROW, so hurry up and get entered to win so you don't miss out! After you've checked out the Top 10 lists and gotten entered to win and all, check out what Larissa's Bookish Life thought of Universal Alien. Then see what characters Larissa would like to cosplay. 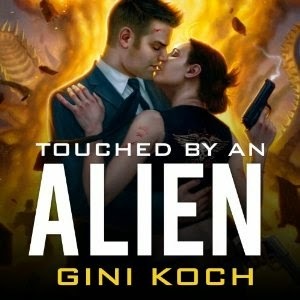 Then see what BookLikes thought of the audio version of Touched by an Alien. Did you know that audio books make great gifts? Well, they do. Just sayin'...that this is available at Audible and directly from Tantor Media. Of course, Universal Alien's blog tour isn't all the big stuff that's going on this week. 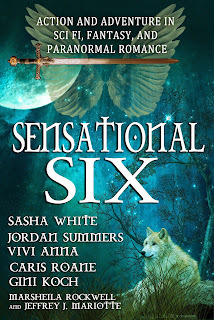 Sensational Six is available now, for the amazingly low price of $0.99, for a limited time, anyway. Yes that means it won't stay this price forever. So don't delay, get your set today! The Sensational Six Blog Tour is also in full swing. Details for all stops are here at the Blah, Blah, Blah, Blog (see post below). Every stop has prizes and there's a gigantic grand prize, too, so definitely get entered to win. And if that's not enough, there's a big party on Facebook this Thursday, Nov. 20th, starting at 3pm EST. RSVP now so you don't miss out because, of course, there's going to be authors chatting and prizes being handed out the entire time! Have you picked up your copy of November's Penumbra eMagazine yet? If not, you're missing out on great stories, including my latest Alien Series short, "Alien Pick-Up". And while you're getting caught up, grab the May and July issues of Penumbra, which have "Alien on the Runway" and "Mr. Dash Saves the World". Get 'em all so you're all caught up and ready for Universal Alien's release in 2 weeks! 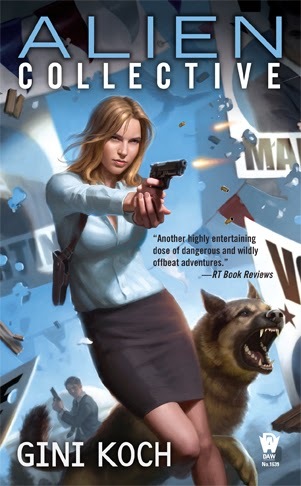 Speaking of not missing out, the great celebration giveaway over at awesome author Caris Roane's website ends in two days. Don't miss your chance to win some great books from moi and other great authors like Erin Quinn, Erin Kellison, and Jennifer Ashley! Last but in no way least, head over to Slice of SciFi and check out my review of The Imitation Game, starring Benedict Cumberbatch. 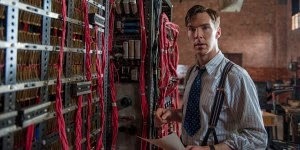 Want to see the movie or just love Cumberbatch? Join the conversation over at Slice! That's it for today, but as you well know by now, more's on the way. So enjoy the countdown to Universal Alien's release, and let's be contest entering and book winning readers out there! Whole Lotta Blog Touring Goin' On! Happy Monday! Hope everyone had a wonderful weekend! Mine was great, but I've been eagerly anticipating today, so I'm kind of glad Monday's here already. No, I'm not crazy, put those straight jackets away. I'm glad because this week we turn the winning up to eleven! To start us off, the Universal Alien Top 10 Blog Tour is still going strong. Today's stop is over at Book Girl of Mur-y-Castell where today's Top 10 list is my current choice for the best hotties to play Jeff Martini. And, of course, you can get entered to win your choice of one of the first 9 books in the Alien series, signed, personalized, and open internationally. 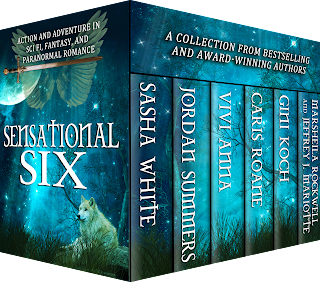 Today's also the day that the amazing boxed set, Sensational Six: Action and Adventure in Sci Fi, Fantasy, and Paranormal Romance releases at a limited all-time-low price of $0.99! That's right, six great stories by seven writers, aka Six Gals and a Guy, is out now! So, grab your copies TODAY! This is now the only place where you can get a copy of The Night Beat, Necropolis Enforcement Files #1 AND a long excerpt of Night Music, Necropolis Enforcement Files #2. The Night Beat will be back as a single title in a few weeks, but, really, why not grab it and five other great stories for one amazingly low price? We aren't going to keep it this low forever, so get your set today! Also, the Sensational Six Blog Tour is underway, too. And there are great prizes at every stop. So, don't miss out on this, either! Last but in no way least, awesome author Caris Roane has a fantastic giveaway going over at her site, where you can win 25 ebooks, including books from moi, Erin Quinn, Erin Kellison, Jennifer Ashley, and more! That contest ends THIS WEEK, so definitely don't miss out -- get entered today! Well, that's it for today, but as always, much more's on the way. So, enjoy the start of the week and let's be blog hopping, contest winning readers out there! Happy Friday! Well, what a week it's been! Hope everyone's had as great a week as I've had, and I hope everyone has an even better weekend! But before then we have fun things to get to, so let's get to them! 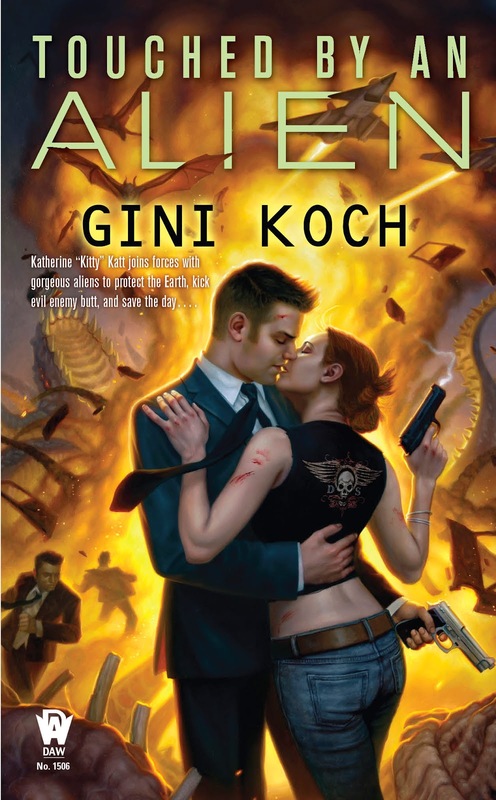 The Universal Alien Top 10 Blog Tour rolls on over to boeklogboek for the list of my Top 10 Favorite Supporting Characters in the Alien series. Agree? One of your faves left out? Tell Aurian about it in the comments and get entered to win your choice of one of the first 9 books in the series, signed and personalized, and open internationally. The blog tour for Sensational Six: Action and Adventure in Sci Fi, Fantasy, and Paranormal Romance starts and the release is coming -- both on Nov. 17th. Yes, that's THIS coming Monday! So remember to be ready to order this great set of six super stories from seven writers (aka Six Gals and a Guy) for the ultra-low price of $0.99! That's right, a ton of great reading for less than a dollar!This boxed set includes my novel, The Night Beat: Necropolis Enforcement Files #1. AND a long excerpt from Night Music: Necropolis Enforcement Files #2. This set is the ONLY place you're going to get an excerpt until Night Music releases in early 2015! SUCH a deal, you don't want to miss out! Yesterday I announced that DAW has bought Books 14 & 15 in the Alien series. And I also shared that Book 14, coming December 2016, will be titled Alien Nation. But we hadn't picked the title for Book 15 yet. Well, we've done so now. Book 15, coming May 2017, will be Aliens Abroad. And :-D no, you can't pre-order these two yet. 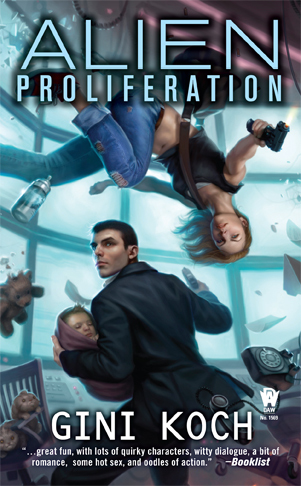 But you CAN pre-order Universal Alien (trust me, it may be out soon, but the pre-orders still matter right up to the day before release), and several alert Members of the Alien Collective in Very Good Standing have informed me that they've been able to pre-order Alien Separation this week. So, you know the drill, do your girl a solid and pre-order like crazy...so we can get Books 16, 17, and beyond! Well, that's it for today, but, trust me, a lot more's on the way. So everyone have wonderful weekends and let's be readers out there! Peace out, my li'l gangstas, and I'll catch you on the flip side! Happy Thursday, and what a Thursday it is, too! There was exciting news yesterday...and there's even MORE exciting news today! But first, the Universal Alien Top 10 Blog Tour is still going strong, and we need to check in over at Bibliognome, where you'll find which albums I play on repeat all the time (and yes, it was hard to pick only ten, BTW). And, of course, there's another chance for you to win one of the first nine books in the series, signed and personalized, and open internationally. 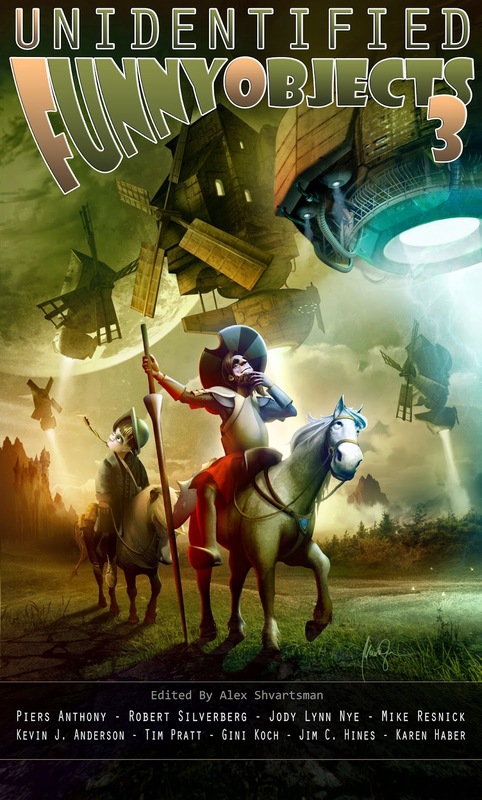 After you've hit the Blog Tour stops, see what boeklogboek thought of Universal Alien. 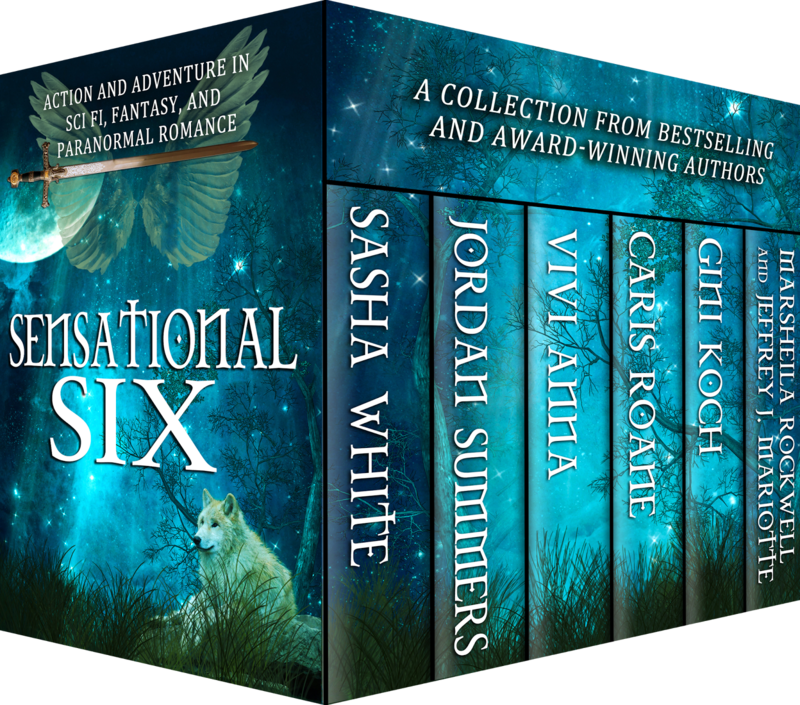 Speaking of blog tours, the blog tour for Sensational Six: Action and Adventure in Sci Fi, Fantasy, and Paranormal Romance starts, and the release is coming -- both on Nov. 17th. Yes, that's THIS coming Monday! Check out NK Blog Tours for info on all stops -- all of which have prizes! 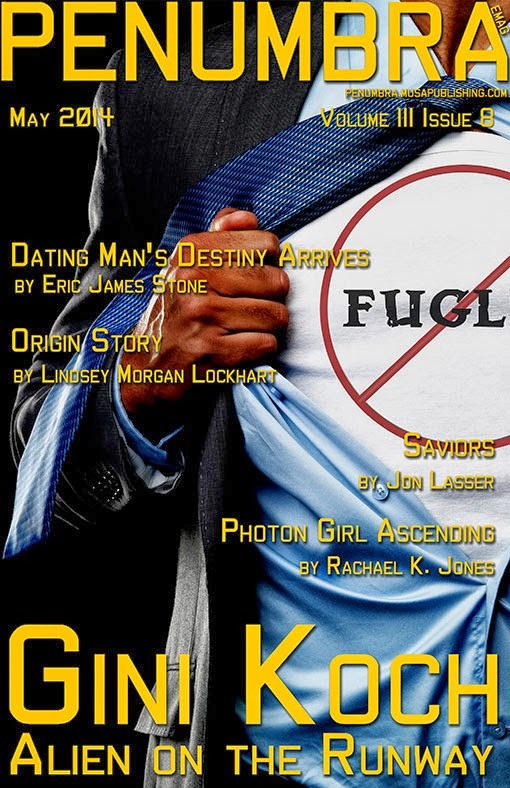 So remember to be ready to order this great set of six super stories from seven writers (aka Six Gals and a Guy) for the ultra-low price of $0.99! That's right, a ton of great reading for less than a dollar!This boxed set includes my novel, The Night Beat: Necropolis Enforcement Files #1. AND a long excerpt from Night Music: Necropolis Enforcement Files #2. This set is the ONLY place you're going to get an excerpt until Night Music releases in early 2015! SUCH a deal, you don't want to miss out! DAW has just bought Books 14 & 15 in the Alien series! YES! It's truly too happy to be true, but true it is! That means Alien Nation is coming your way in December 2016, and An Alien To Be Named Later (just kidding, we're still deciding on the title) is coming May 2017! That's it for today, but, hey, that was a lot, right? Well, never fear, more's on the way tomorrow! So let's be readers who now KNOW we get to go to 15 out there! Happy Veteran's Day! Hope Monday treated everyone well and we're all fully into the flow of the week. For those of you off work today, enjoy the time! For everyone, though, today is Veteran's Day in the U.S., and everyone, worldwide, should take a moment to thank those who have served in your country's armed forces, especially those who gave all. William Cox, Michael Gower, Gladys Gower, Naomi Gower-Reynolds, and Fuzzball salute all those who served and the memories of and families of those who gave the ultimate sacrifice. The Universal Alien Top 10 Blog Tour is going strong, with three stops today! Head over to Larissa's Bookish Life for my Top 10 Fave TV Shows and a chance to win one of the first 9 books in the Alien series. 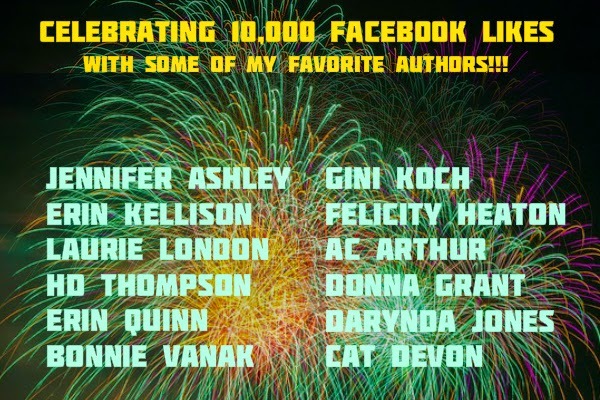 Then hit Feeling Fictional for my Top 10 SciFi Heroes, and another chance to win. And last but not least, hit Gizmo's Reviews for Christopher's Top 10 Kitty-isms, and yet another chance to win! All contests are open internationally. And, while you're over there, check out what Gizmo's Reviews thought of Universal Alien. 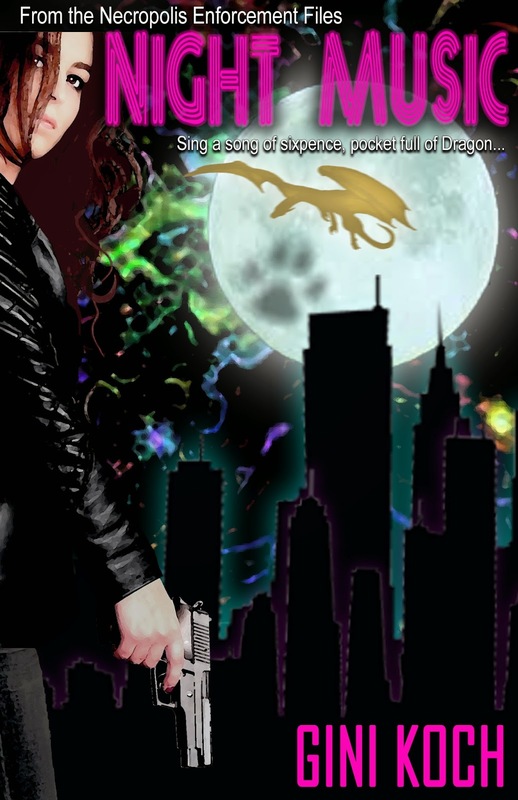 Speaking of blog tours and upcoming releases and all that jazz, a reminder that the blog tour for Sensational Six: Action and Adventure in Sci Fi, Fantasy, and Paranormal Romance is going strong. Check out NK Blog Tours for info on all stops -- all of which have prizes! And remember to be ready to order this great set of six super stories from seven writers (aka Six Gals and a Guy) coming on Nov. 17th for the ultra-low price of $0.99! That's right, a ton of great reading for less than a dollar! Including The Night Beat, Necropolis Enforcement Files #1. AND a long excerpt from Night Music, Necropolis Enforcement Files #2, in the only place you're going to get it until Night Music releases in early 2015! SUCH a deal, you don't want to miss out! Speaking of tours, yet another stop on my upcoming December Book Tour has been confirmed! Here are all the Tour dates so far, one of which (Dec. 2nd) includes a webcast event so that everyone can join in, even if you can't be with me in person! Cake, readings, signings, games and prizes! More dates may be coming, so keep watching the Datebook for updates! Have you gotten your November issue of Penumbra eMagazine yet? If not, why not? You're missing out on "Alien Pick-Up", and you know you don't want to do that! Also, if you've missed the May issue, featuring "Alien on the Runway", and/or the July issue, featuring "Mr. Dash Saves the World", you want to get those, too. And you can, easily, because Penumbra has all their back issues for sale, too. That's it for today, but as always, especially during Tour Time, there's more on the way. So let's be honoring readers out there! Happy Monday! Hope everyone had a great week and a wonderful weekend. I had a fantastic time in Los Angeles for the A Darke Phantastique mass signing. Check out the recap from author E.E. King for deets. I got to celebrate a fun, fast in-and-out trip to SoCal by being back home to see the Cardinals beat the Rams (yes, I'm a football fan, but, seeing as I'm a Cardinals fan, I tend to fly under the radar...but this year, wowza!) live and in person. But there's lots going on, and lots to come in the next few weeks, so let's get to it all, shall we? We shall! 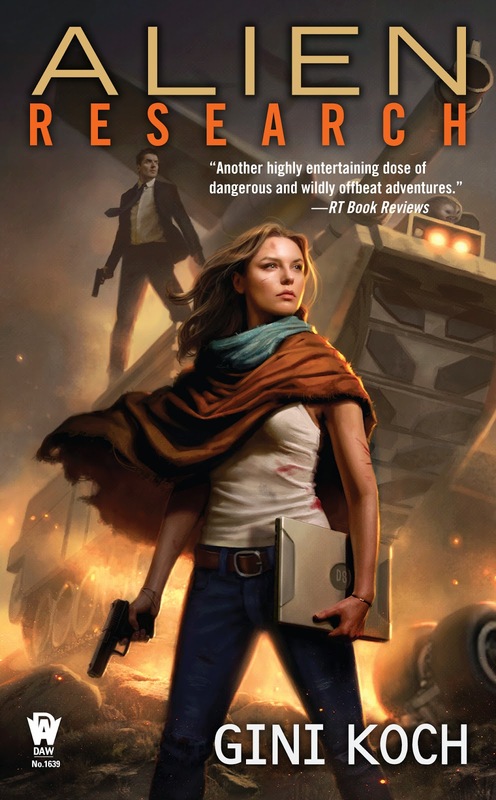 First up, the Universal Alien Top 10 Blog Tour begins today! Head on over to Pearls Cast Before a McPig to see what Jeff & Kitty's Top 10 Vacation Spots are AND get entered to win one of the first 9 books, signed and personalized! Contest open through Nov. 28th. Every stop has either a new Top 10 List or an interview, and every stop has prizes to be won, so make sure you hit 'em all! 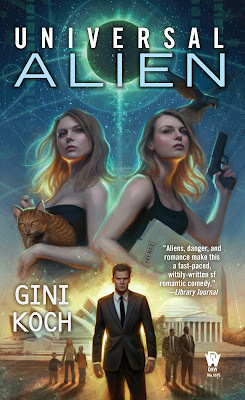 And remember to do your girl a solid and pre-order Universal Alien online or from your favorite bookstore, including any bookstore where I'm making a Book Tour stop. And don't stop there! See what Pearls Cast Before a McPig thought of Universal Alien. Then, check out Bibliognome's Pre Review Ravings and Favorite Quotes/Lines are from Universal Alien. Next up, see what Books-N-Kisses thought of Alien Research, and what Feeling Fictional thought of Unidentified Funny Objects 3. Then see which Top 5 Characters Larissa's Bookish Life would like to hang out with! See any movies last weekend? 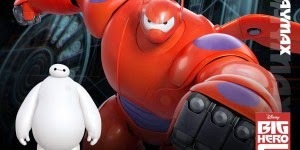 If you missed Big Hero 6, check out my review at Slice of SciFi to see if you should see it or not. (Spoiler: you should see it.) Agree? Disagree? Join the discussion over at Slice! Amazingly enough, that's it for today, but based on the fact that the Top 10 Blog Tour is large and in charge, expect to hear from me a lot in the upcoming days. So get ready to start the latest rounds of winning, and let's be readers out there! Happy Monday! It's a long one today, but that's because I'm heading out of town (more on that below) and don't want all y'all to miss out on anything! 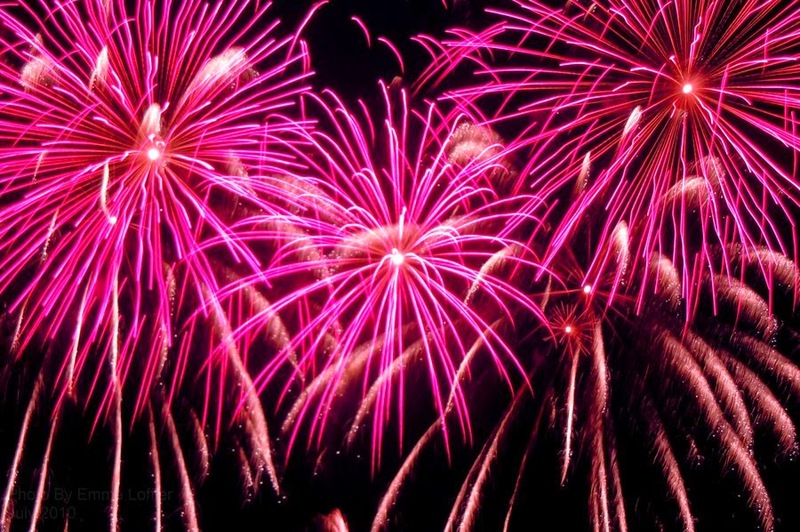 But first up, hope everyone had a wonderful weekend! 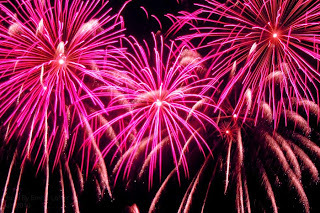 All winners who won ebooks have them now. And for those of you who are getting physical books, they will go out by the week of the 10th (and you're waiting for a couple of reasons, but you'll be happy for the delay, I promise). Also, welcome to November! Know what November is? Nah, I and the Stampeding Herd don't do NaNo ('cause we do our own version all year long). 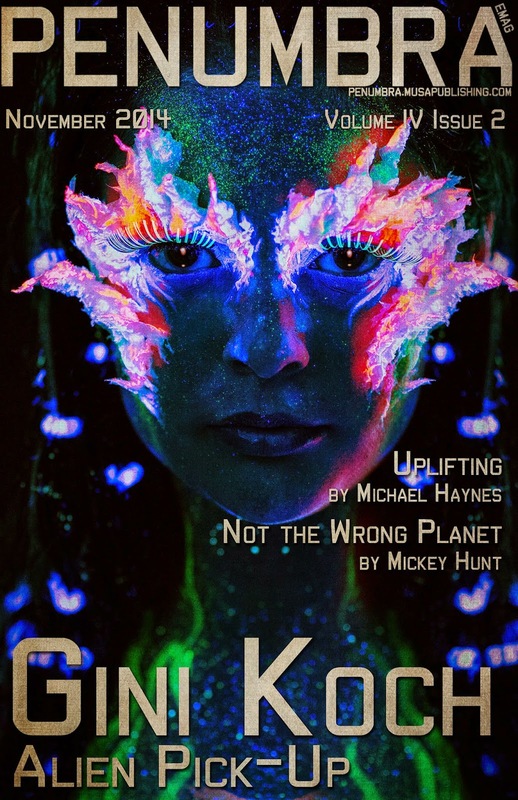 Nope, November is when my third Alien Series Short, "Alien Pick-Up", is available in the current issue of Penumbra eMagazine! So, if you're jonesing for an Alien fix and don't want to wait until December 2nd when Universal Alien releases, go grab a copy of Penumbra today! And, for those of you who may have somehow missed the May and July issues, containing "Alien on the Runway" and "Mr. Dash Saves the World" respectively, don't continue missing out! Penumbra has all their back issues for sale, too! After getting all caught up with Penumbra, see what Books-n-Kisses thought of Alien Collective. As a reminder for all SoCal area peeps -- I'll be in da hizzy on Thursday, November 6, for the mass signing of A Darke Phantastique. And I won't be alone! A slew of awesome authors will be there, including William F. "Logan's Run" Nolan! Truly, if you're in the area, get over to the Mystery and Imagination Bookstore at 5:30 this Thursday for a fun party with authors, cake, and wine! Also, if you have any of my bookie wookies you want signed, bring 'em all and I'll sign 'em all! Also, since I'll be out of town starting on Wednesday, be sure to hit Slice of SciFi on Friday, to see what I thought of Big Hero 6. Speaking of being out of town, Vegas Area Peeps, we have time confirmation for my signing at the Barnes & Noble Henderson on December 13, 2014, where I'll be joined with fellow Wyked Women Who Write authors T.L. Smith and Sharon Skinner for a party and more from 1-4pm! Cake, yaps running, prizes being handed out left and right, so don't miss out! This is our first Vegas area signing, so if you want us to keep on coming back, help us pack the house! Gosh, is that it? I think it is, at least for, most likely, this week. See some of you on Thursday, all of you have fantastic weeks and even better weekends, and let's be readers out there. Peace out, my li'l gangstas, and I'll catch you on the flip side!